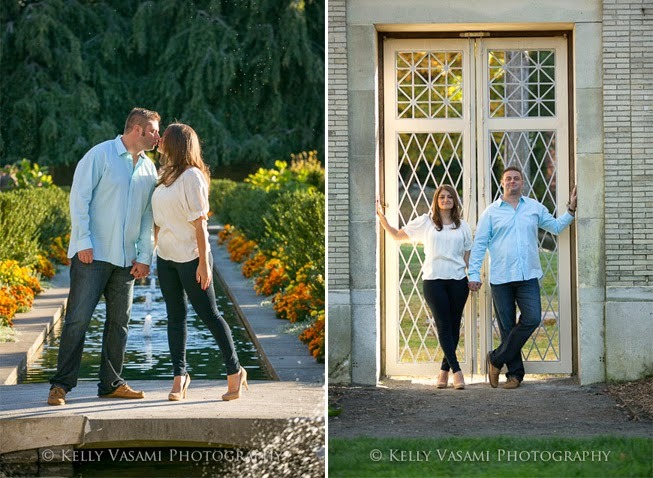 Kelly Vasami Photography Blog: It’s (almost) Engagement Session Time! Now that the snow has melted and the days are a little longer, it’s time to start thinking about scheduling your engagement session! 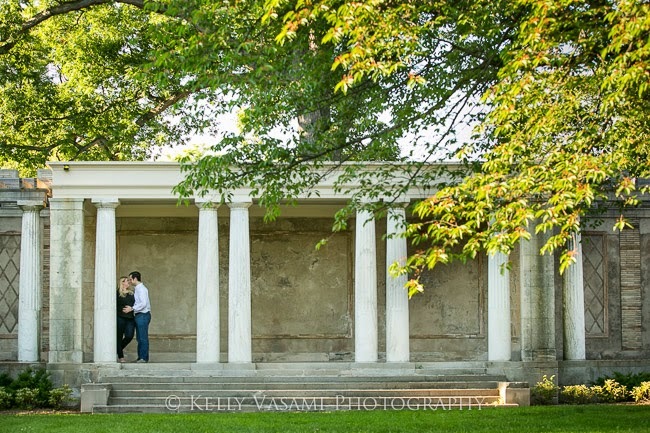 I LOVE photographing engagement sessions for my clients. 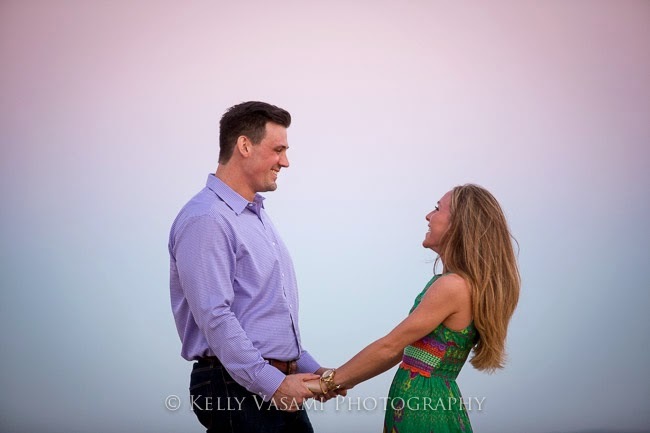 It’s a great way for us to get to know each other a little better before the wedding day, and it’s a fun way to start feeling relaxed in front of the camera. We’ll go for a stroll around a beautiful location, have a few laughs, and pose for a few photos here and there. 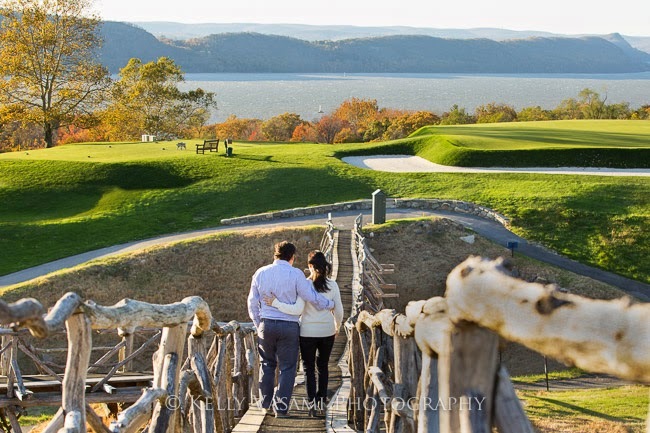 If you’re thinking about a location for your engagement session, I have some great suggestions in and around Westchester and NYC. Keep reading for some fun location ideas below, including Central Park, Rye Playland, Untermeyer Gardens and some other fun locations. 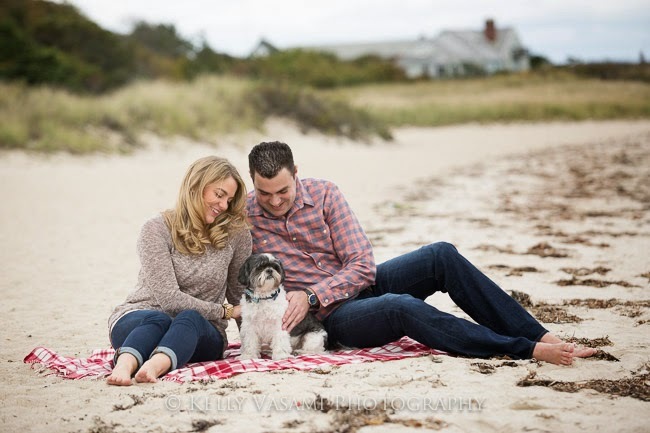 I traveled up to Cape Cod in the fall for this amazing beach engagement session with Jessica and Mark. 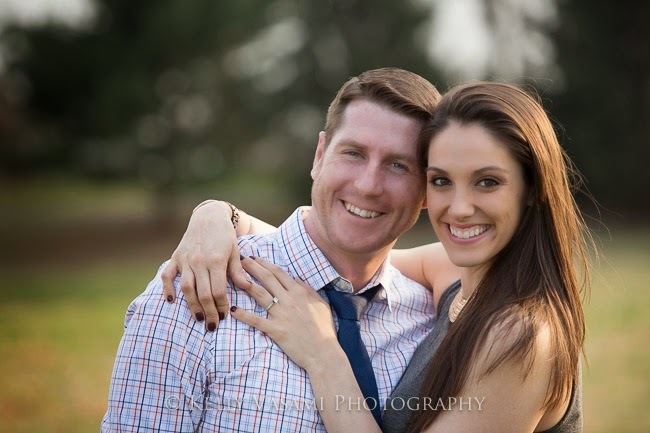 I can’t wait for their wedding in June, they are such a sweet and fun couple! Their pup, Grizz, came along for the photos. 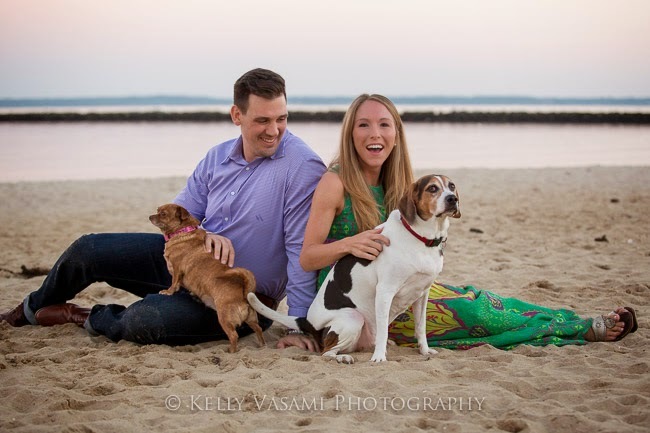 Dogs are ALWAYS welcome at engagement sessions with Kelly Vasami Photography! The sunset we got that night was worth every chilly minute we had to wait! Right guys? 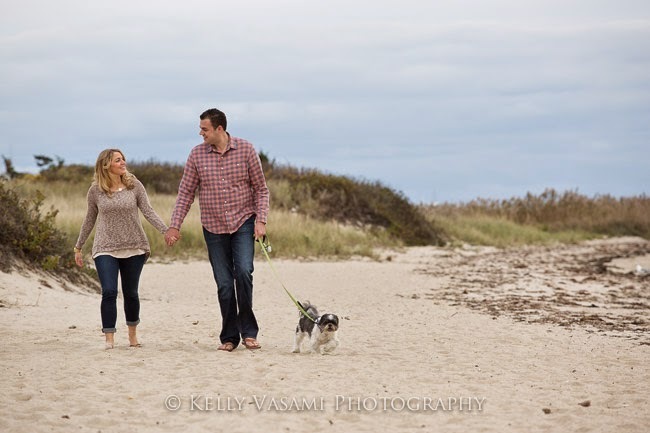 Then another fun beach session, this time with my handsome brother-in-law Greg and his beautiful bride-to-be Justine. 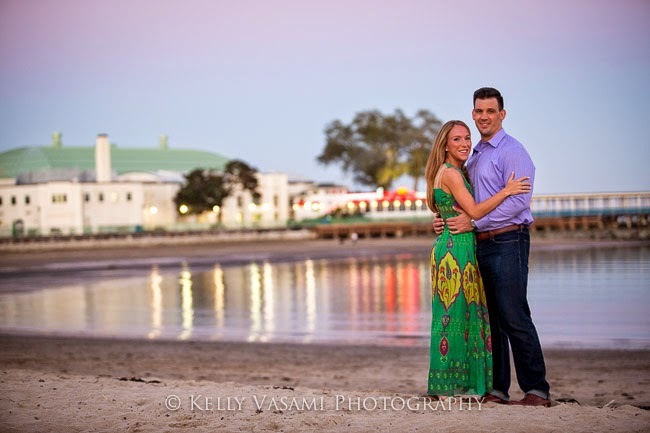 They had their engagement session portraits done at Rye Playland and on the beach in Rye. I love this view! 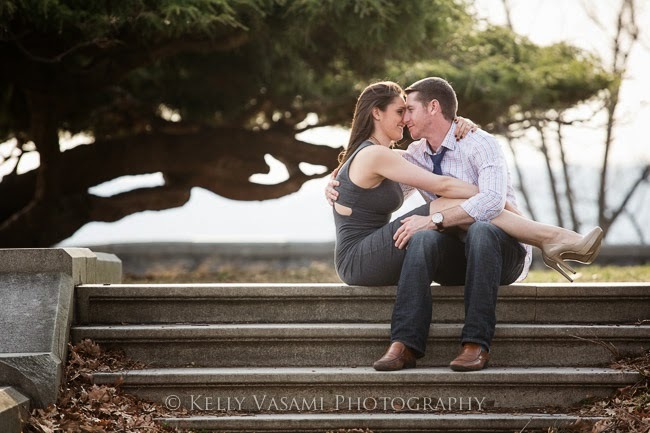 Rye Playland is one of my favorite local spots for an engagement session because it’s so beautiful and has many unique spots. 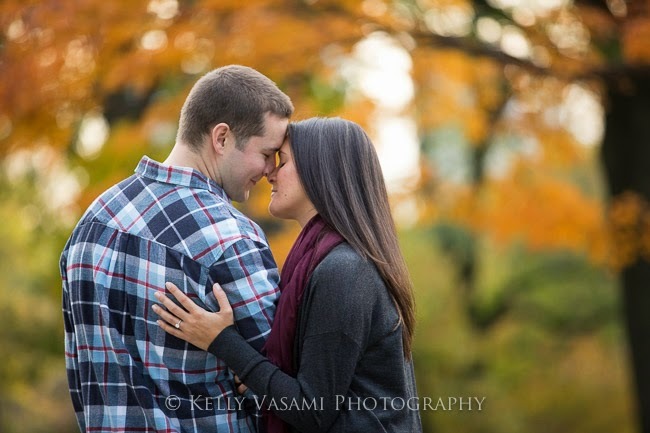 Here is another fall engagement session with the lovely and hilarious Jamie and John. I can’t wait for their fall wedding! 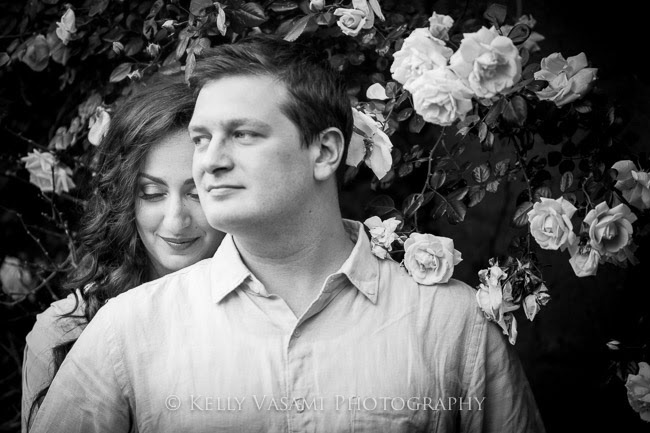 This session was at Untermeyer Gardens in Yonkers. What a beautiful spot that is! 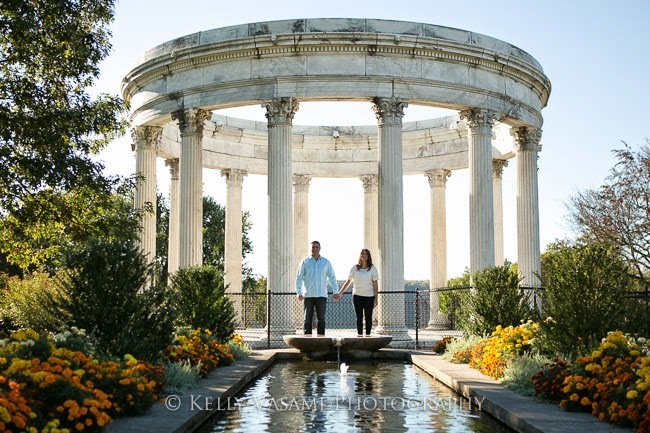 Erica and Brad also chose Untermeyer Gardens for their engagement portraits, right before their beautiful wedding last June (at Mamaroneck Beach & Yacht Club). We had so much fun exploring the gardens and hidden spots at Untermeyer! One of the most unique spots I photographed an engagement session this year was at Rachel’s family home. 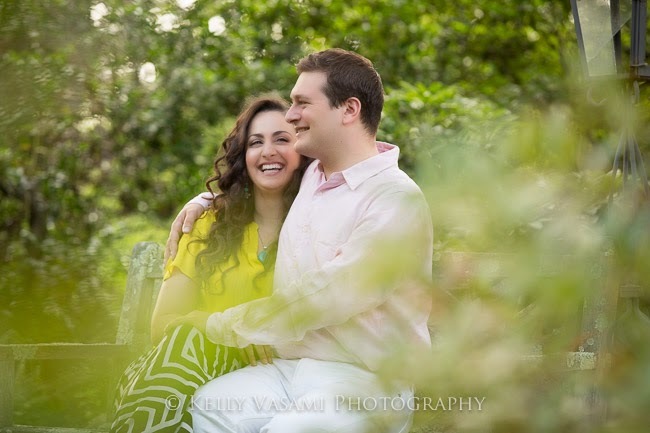 She and Thomas chose her family’s property for their engagement session because it was not only beautiful, but also a meaningful and comfortable setting for them both. 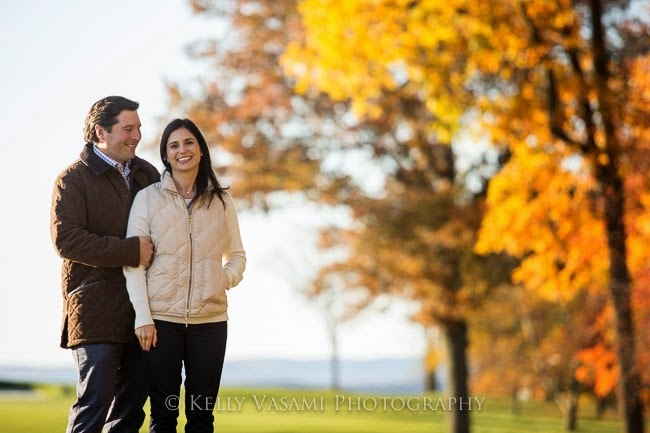 They had a beautiful wedding at Westchester Country Club this past fall. 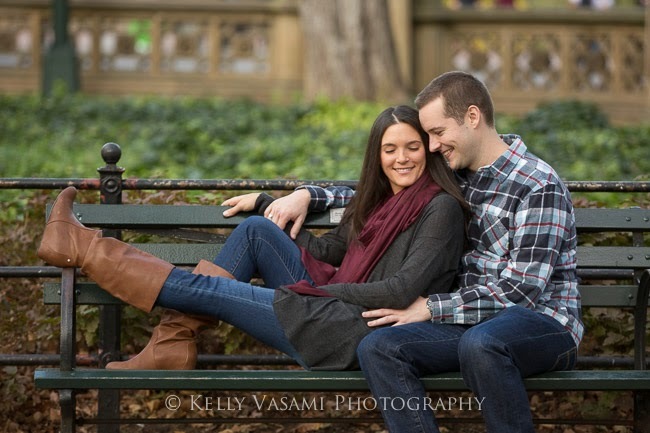 I find myself photographing couples in Central Park quite often for their engagement session, and it’s a perfect location because there are so many awesome go-to spots. 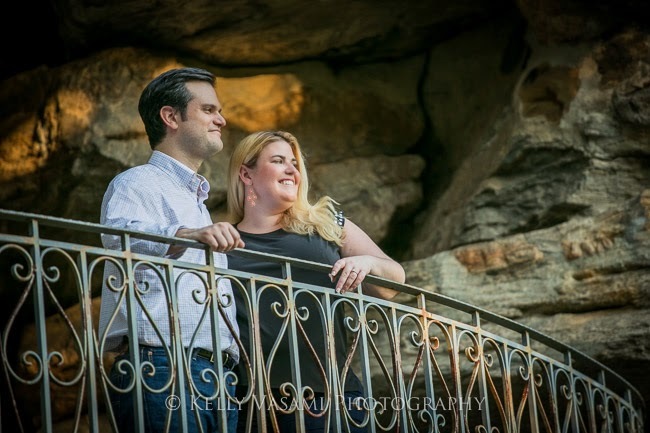 Samantha and John took advantage of a perfect fall day and together we visited all of the great spots – Bow Bridge, Bethesda Terrace, Literary Walk, Strawberry Fields – there are so many to choose from! 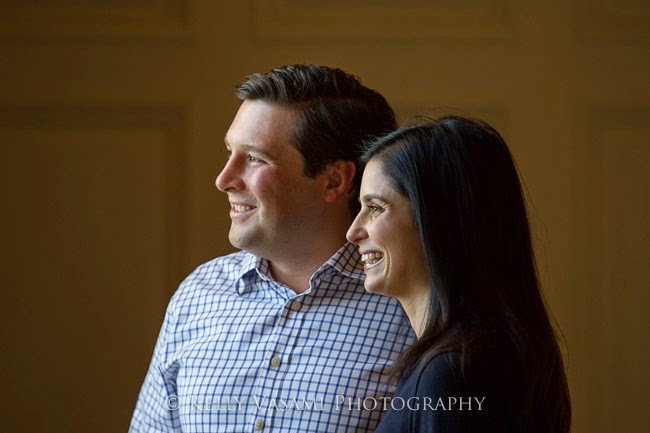 And finally, we have one last engagement session that took place at Sleepy Hollow Country Club. 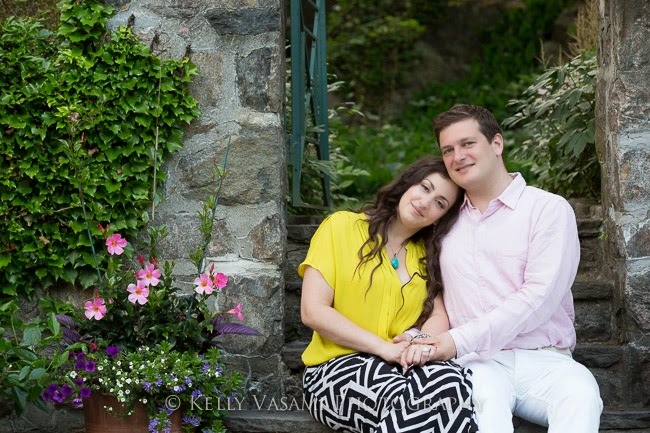 Kristy and Eamonn will be getting married there this year, and I can’t wait – they are such a sweet couple, and Sleepy Hollow Country Club is truly one of my favorite venues in the Hudson Valley. 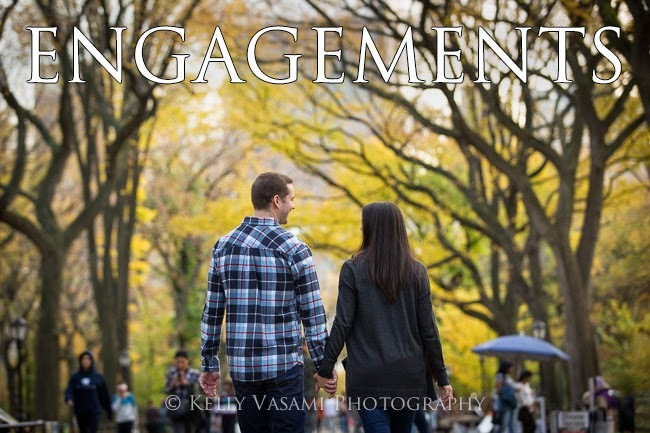 Contact Kelly Vasami Photography now to schedule your engagement session for this Spring or Summer. You’ll have your choice of the best dates if you get in touch with me early. 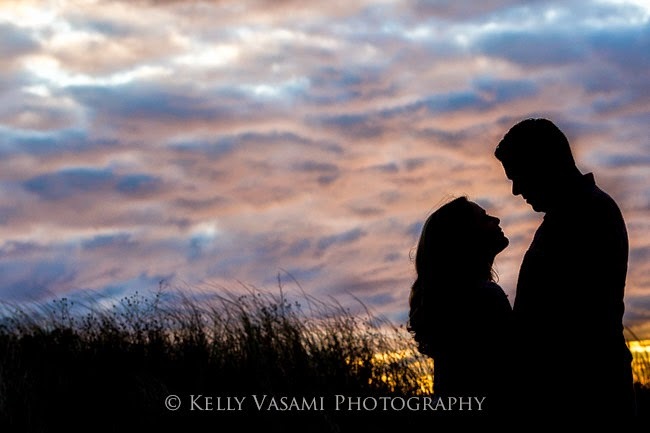 Whether you are a 2015 bride or groom, or are just starting to plan your 2016 wedding, now is a great time to plan your engagement portraits. 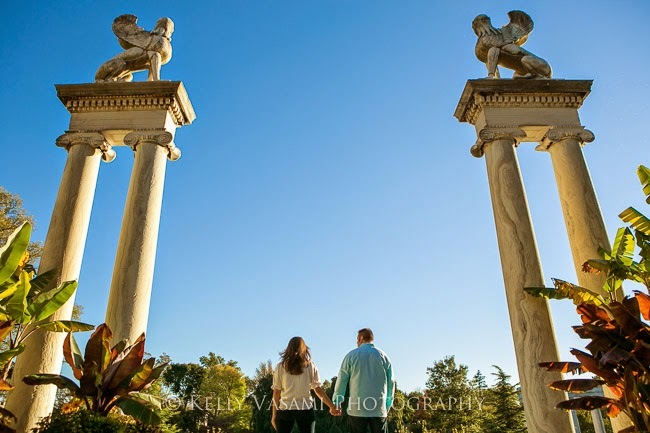 I have plenty of suggestions for great locations for your engagement session in Westchester and beyond. ← New Office! New Awards! Yay, Kelly! 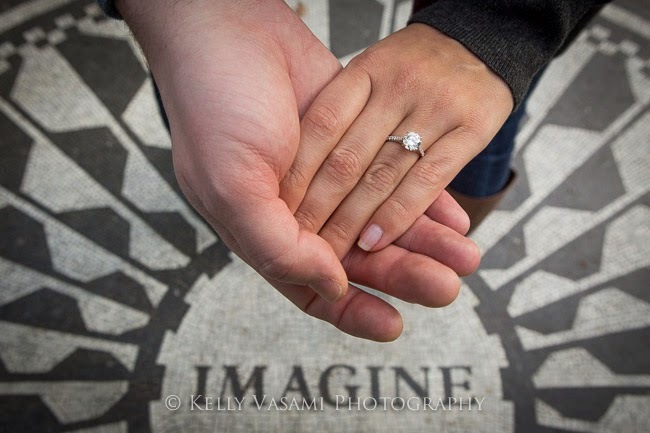 So many beautiful engagement images. Your clients are so lucky to have you. I'm sure they are all thrilled with these. Great job!!! Wishing you an amazing wedding season Kelly, you deserve it! Cool, very cool portrait photography.